The sandals are here. 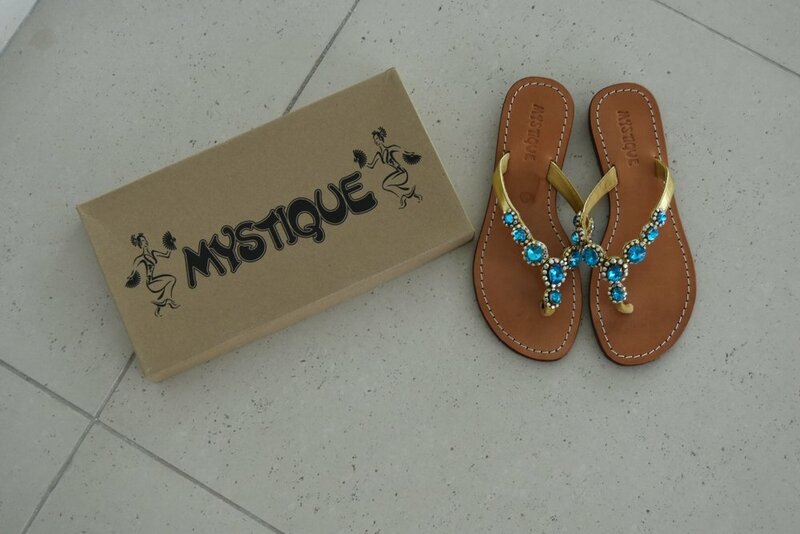 My gorgeous Mystique sandals have now arrived. And how lush they are, too. In the end I went for blue. Cool blue bejeweled sandals; so appropriate for our wedding trip to Italy's Amalfi Coast later this summer...also something old, something new, and all that. As many of you know It can be tricky receiving things here in the Emirates. Addresses somewhat transitory in nature (you will often we asked for the nearest landmark as a proxy), so you are at the mercy of your friendly courier driver. This time my sandals made it here right, first time. And in plenty of time for Italy. In fact, I might even have to break them in when we go to Marrakesh in August. Thanks Mystique, they are perfect. I know these will become my summer holiday sole mates. Follow my blog for a chance to win some amazing Chanel products. Full details can be found on my Facebook page at immaclife.